Situated on the Baltic Sea’s largest island – with gorgeous fine sand beaches and a temperate climate – Visby and its environs are a playground for Scandinavians. Squint your eyes on a hot summer day and you could be in the Mediterranean. 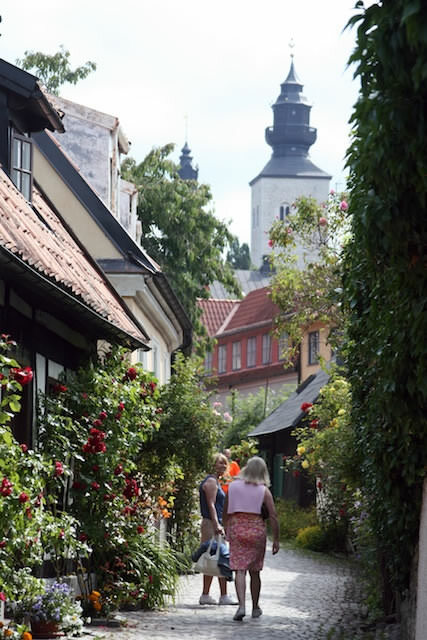 Known as “The Town of Roses and Ruins,” Visby has been a UNESCO World Heritage Site since 1995. 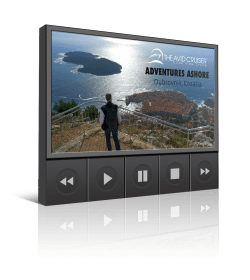 To see the sights, we tendered ashore and rented bikes near the tourist information center. We pedaled along an impressive 3.4-mile stone wall that surrounds the well preserved and thoroughly charming old town. Along cobblestone streets, we rode past majestic merchants houses from 17th and 18th century and stone buildings – some of them dating back to the 12th century. We passed ruins and roses and discovered that the old town isn’t only historical. It is lively, with trendy shops, cafés and restaurants. To get to Visby, passengers must tender ashore. 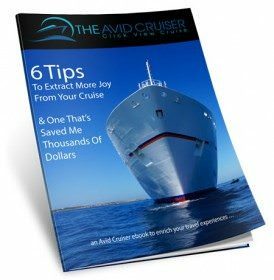 We were in no hurry to leave Visby, but our ship pulled anchor at 2 p.m. On the tender, another cruise passenger said what we were thinking as the island retreated into the distance. 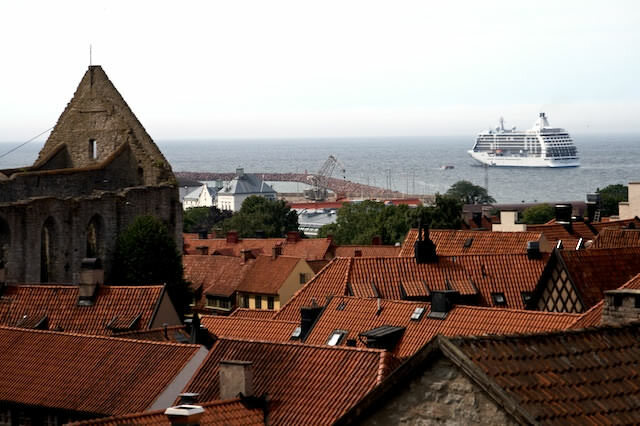 Visby and Tallinn had been her two favorite ports of call. Visby certainly represents the best of the Baltic – from the historical to the contemporary – contained in a compact city center on an island of spectacular beauty. The city’s Mediterranean milieu combined with Swedish style makes for a match made in heaven. Previous Port: Stockholm, Beauty on Water | Next stop: Rostock/Warnemunde: Berlin or Bust? "Visby, Sweden: ‘Roses and Ruins’" doesn't have any sub pages.